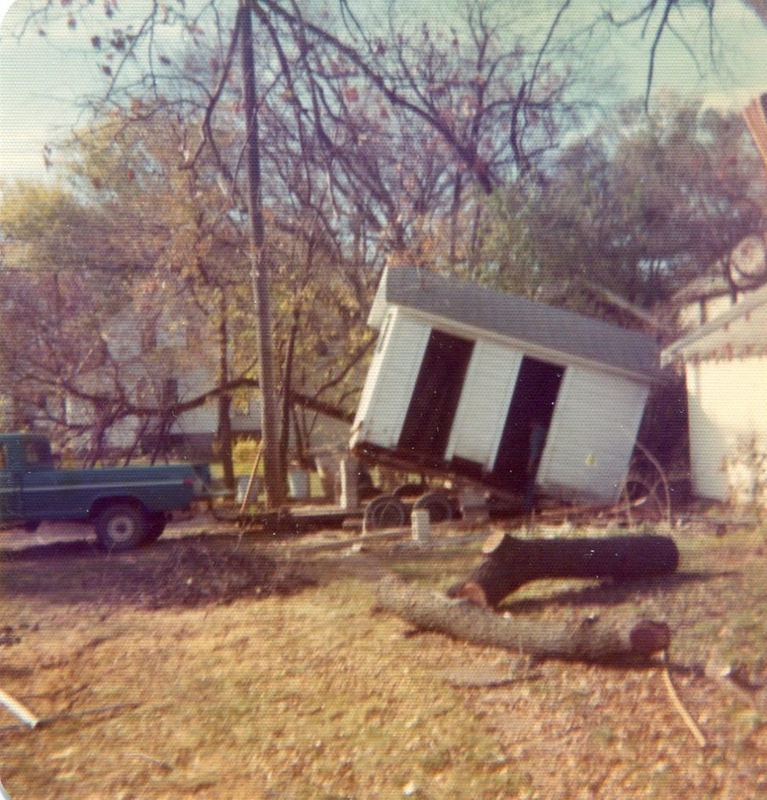 Shortly after we moved into our home, we were able to make contact with the woman who lived here for over 40 years, and with her daughters, one of whom owned the house for 10 years until 2004. I have pages of notes from our meeting and phone conversations, but so far have not shared anything; simply for the reason of not knowing where to begin! 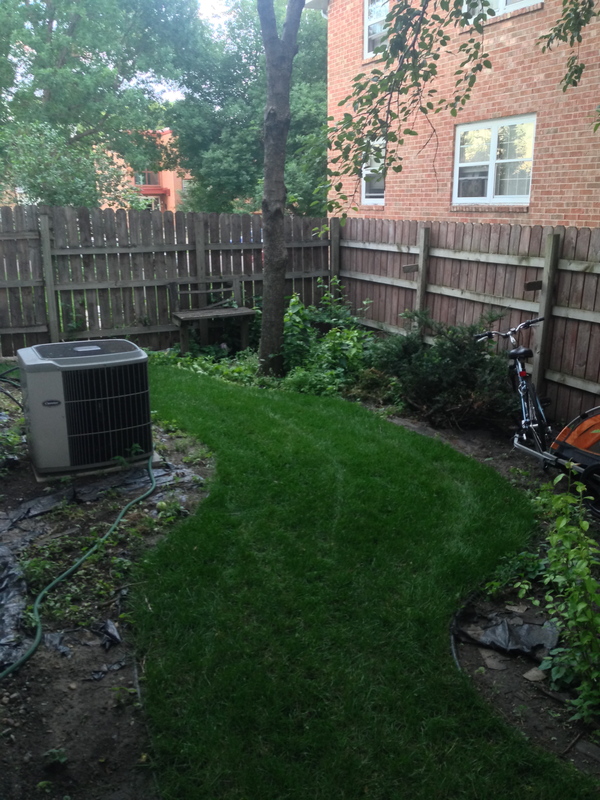 But tonight, I thought I’d start by sharing some pictures of the yard… then and now. 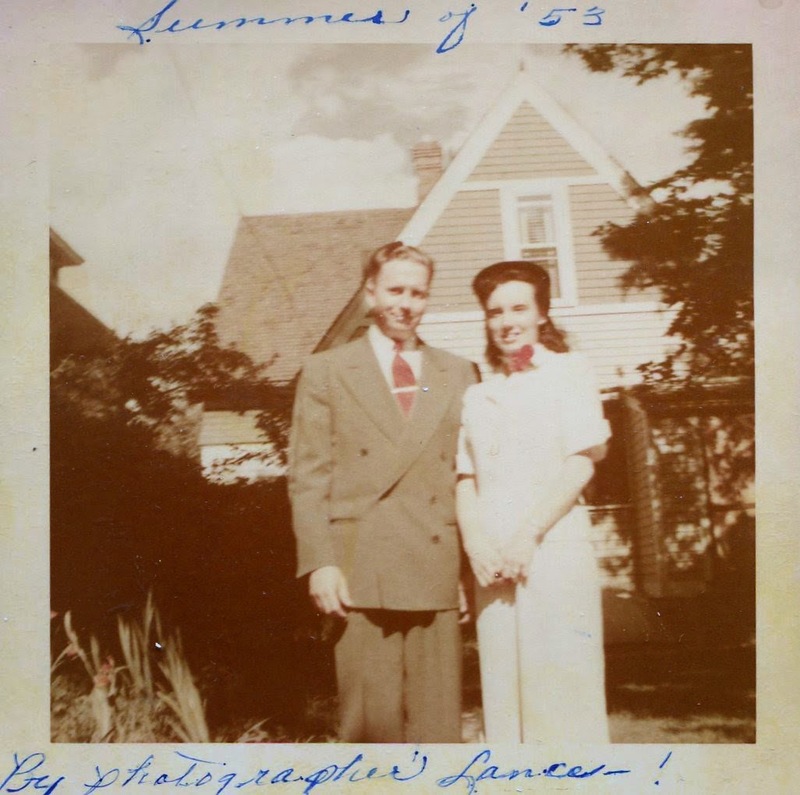 The couple who lived here for all of those years, Gil and Donna May Ristesund, obviously cared deeply not only for the inside of the home, but the exterior and the grounds that surrounded it. 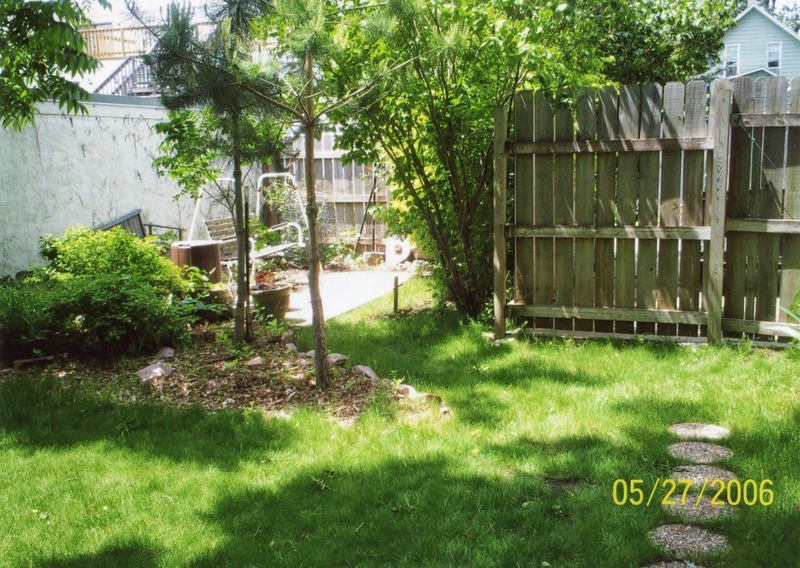 The yard- front, side and back was filled with perennials of all kinds. Donna May, when she visited last year, shared with me that when they moved in, Bleeding Hearts greeted them as her new husband carried her over the threshold. Needless to say, three Bleeding Hearts are now planted in the front. Other plants that were mentioned were ferns (an extremely small one remains), irises (still present) and peonies (still present, but only one bush, compared to the many they used to have. 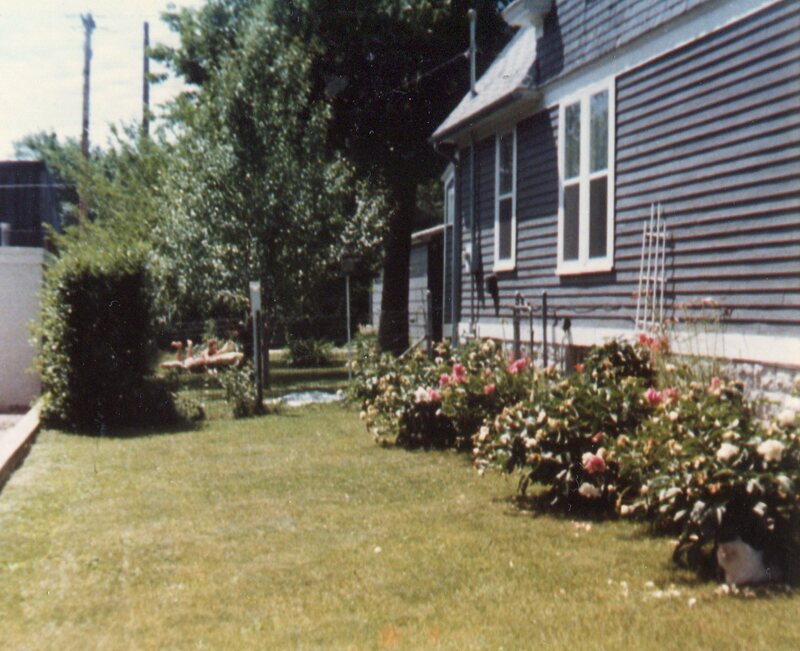 From the many photos of the yard that were shared with me, I could tell that the back yard was really a place that the family gathered. 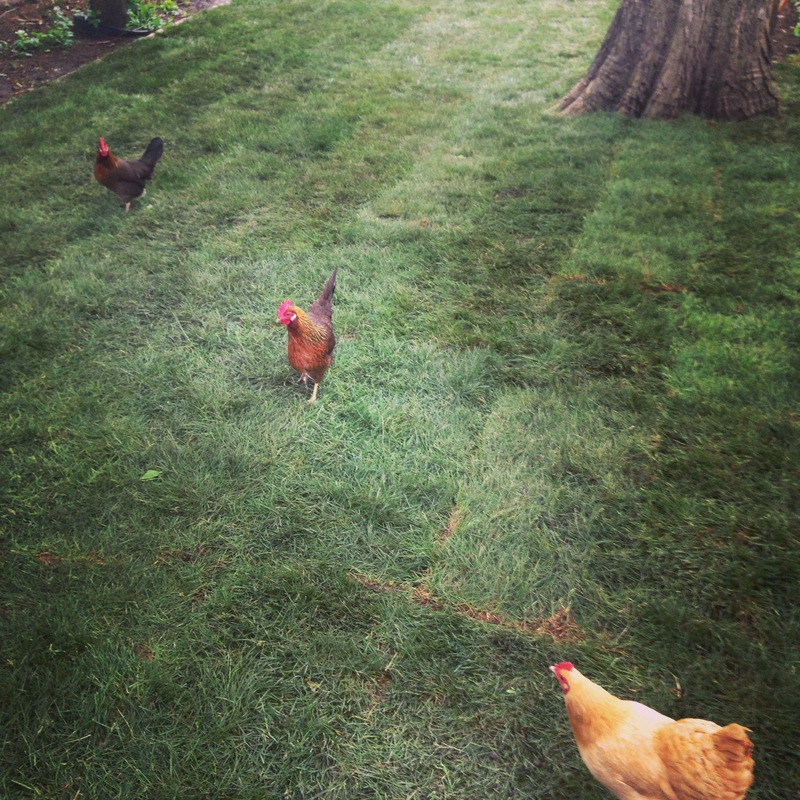 There are pictures of family meals being shared, teenagers sunbathing and little girls in the 60s with their chickens. 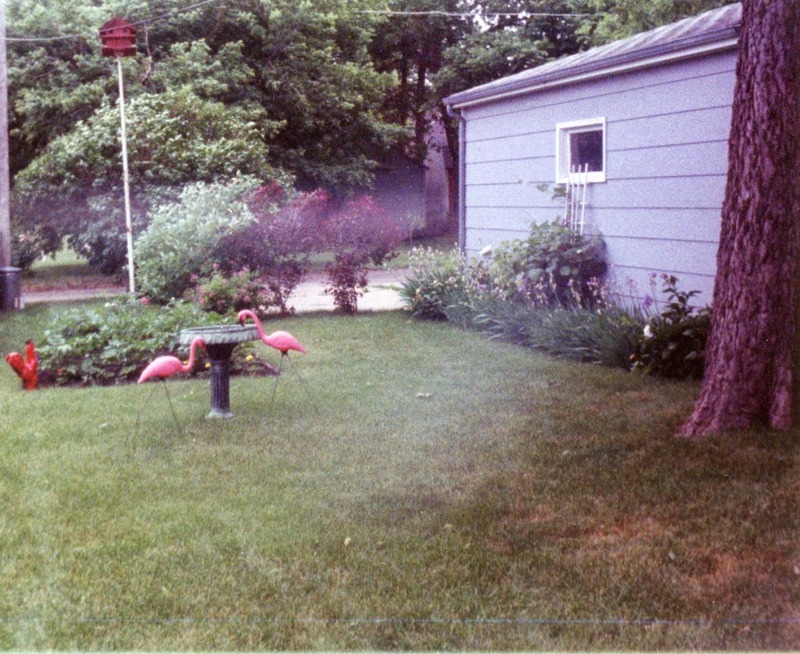 The Ristesunds in the backyard in 1953. Are those irises in the corner? The South side of the house- not included in the fenced in backyard. Look at all of those peonies! Now, there is nothing there. 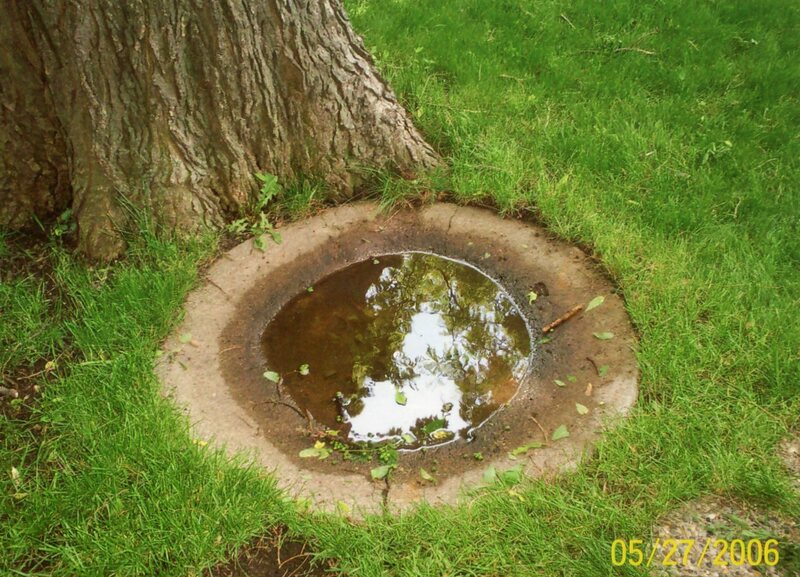 A little cement birdbath at the base of the hackberry tree. 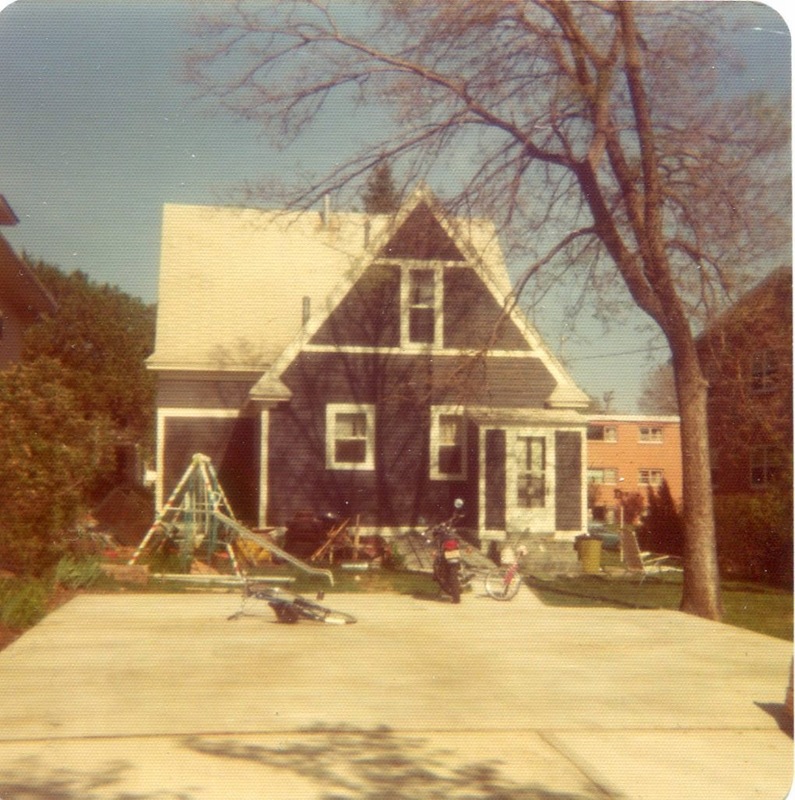 It is no longer there, but I have learned that it was there when the Ristesunds moved in in the 50’s. Since they bought the house from the original owner, that means that it was an “original” landscape feature. I think we are going to have to bring it back. 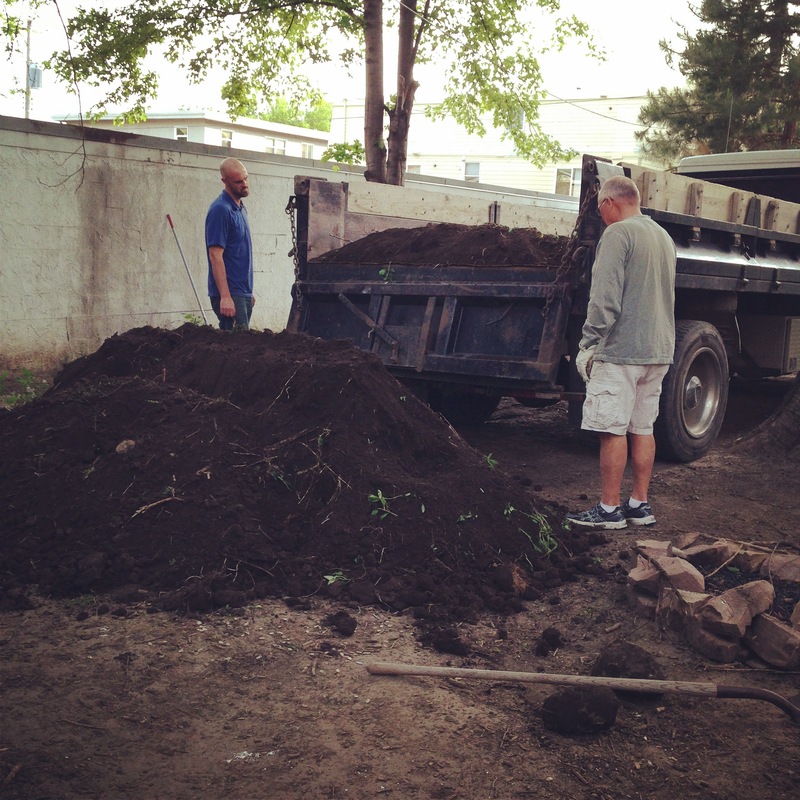 By the time we received the house, the backyard was in extreme disrepair. There were far too many trees present, cutting out nearly all of the sun and killing the grass. 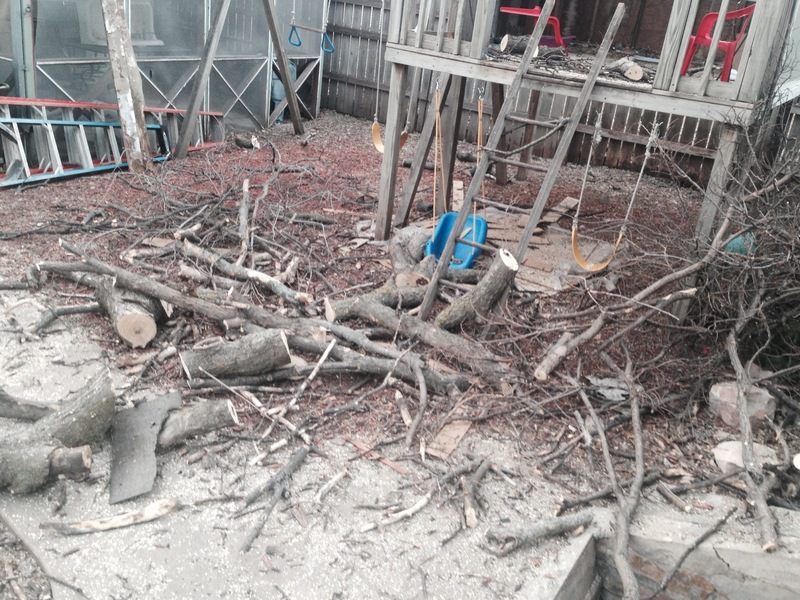 A year ago, we cut down four trees in the back yard. 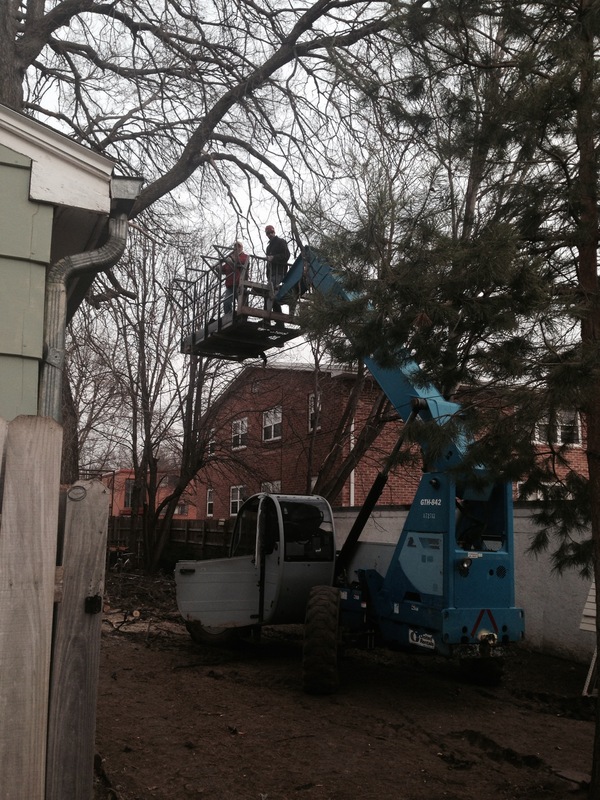 This spring, we took advantage of the lift we had for construction, and limbed up the gorgeous hackberry in the center of the yard. 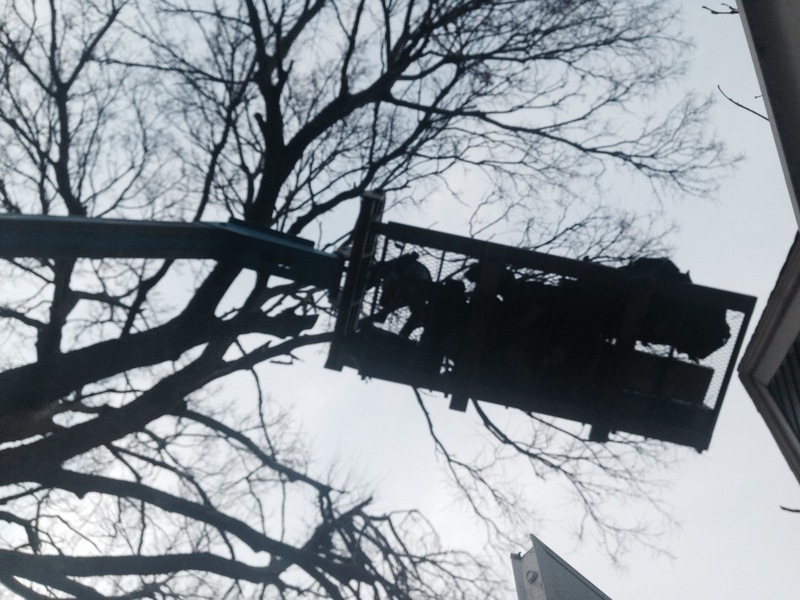 This helped, but there are still 5 trees yet to come down. In their place, we plan to plant smaller fruit trees. The view from our backdoor in May. Seriously. Can you believe I put up with this for 18 months with 3 kids and a Labrador??? 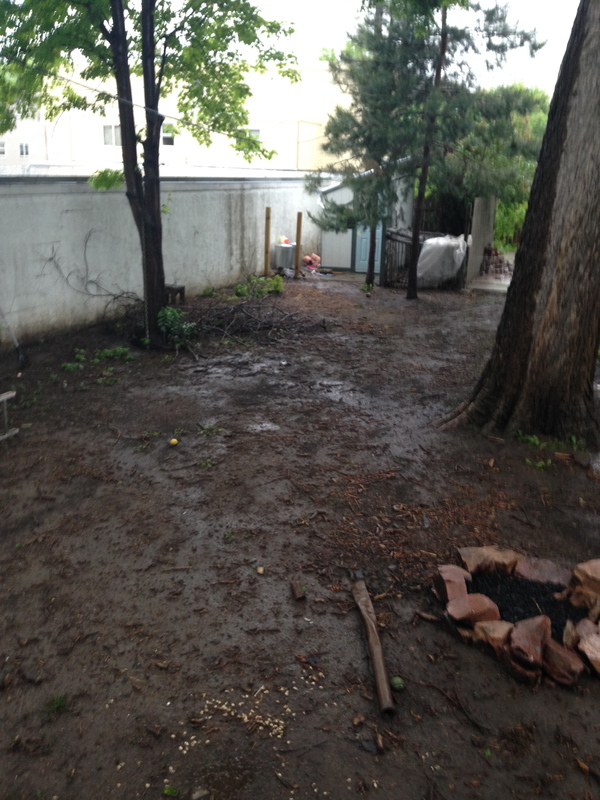 And so, finally, we were able to proceed with backyard work. I consider it to be part of the restoration of his house. 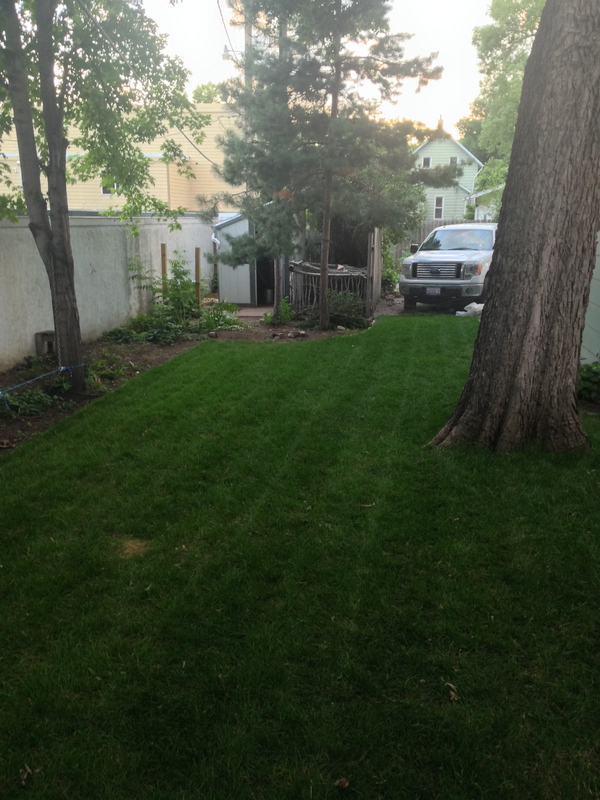 We couldn’t believe how much better it looked… just with smooth, flat dirt! Step 3: Add Edging. 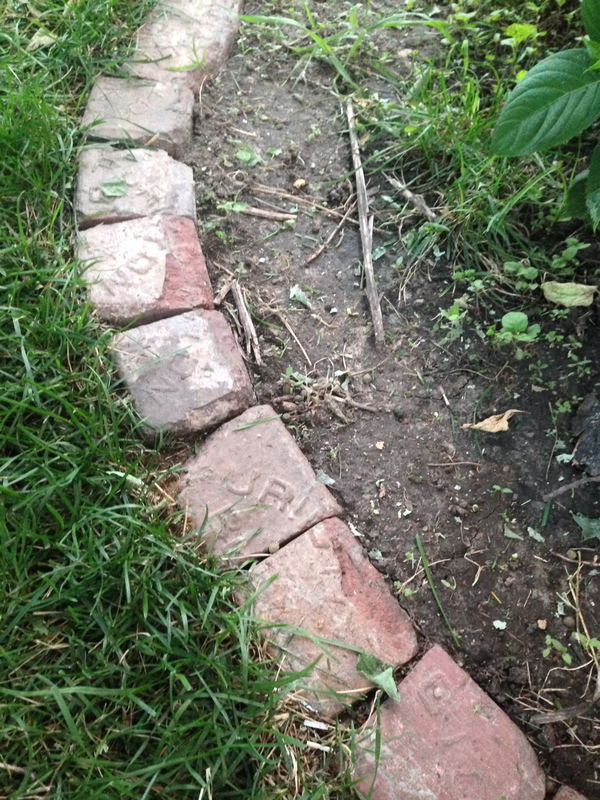 We used 100+ year old, broken Purington Block pavers (google it- they are valuable!). My husband had a job in Sioux City last year and the contractor was getting ready to THROW AWAY roughly 16 pallets of these treasures. So of course, we loaded them onto a trailer and paid a semi to drive them an hour north to Sioux Falls. We have most of them in storage for future paver walk ways and patio, but we used some of the broken ones to edge out the planting beds. Step 4: Add Irrigation: I don’t have a picture of this, but my husband was able to use spare irrigation heads he had from the business and install a simple irrigation system. 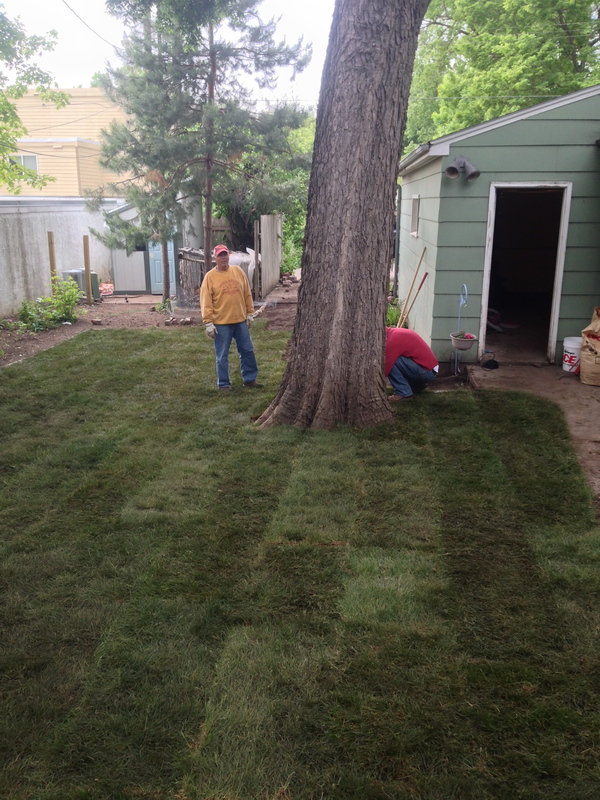 With all of the shade we have, plus a dog, we knew that we’d have to have one to keep things looking green. 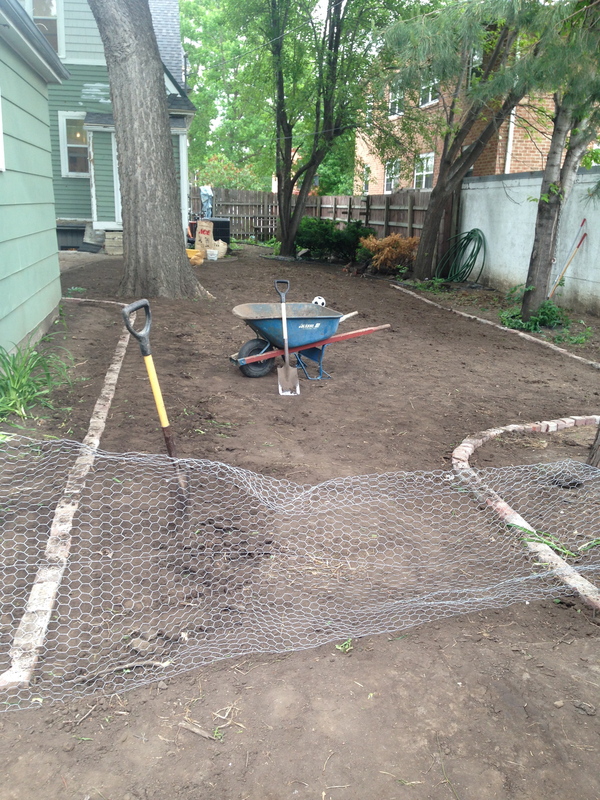 Step 5: Add Sod: We got this for FREE! 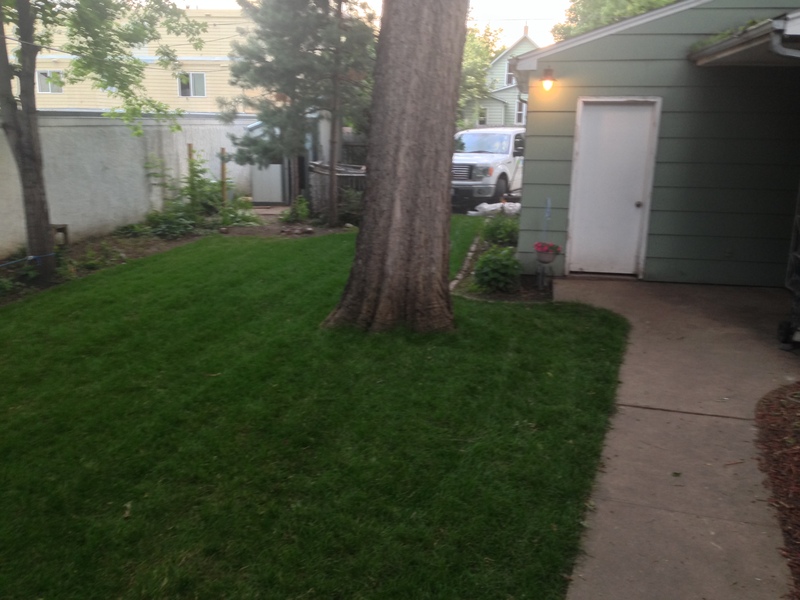 My husband’s sod supplier was not going to use it, and by the time the next week rolled around, it would have been dead. We picked it up on a Sunday morning, laid it out and nursed it back to life. There is still work to be done.. but it has come a long way in a month. I think Mr. Ristesund would be glad. What a lot of progress–looks great, guys!